Calling all hands on deck for this Earth Day’s Fashion Clean-Up. 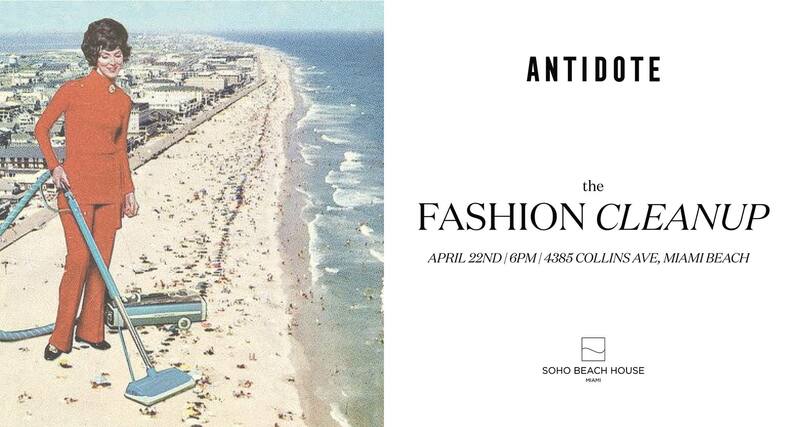 Join ANTIDOTE and local fashion influencers for a beach clean-up. With the fashion industry being one of the major polluting industries in the world, Earth Day is the perfect moment to stand together for a great cause. We suggest that you wear closed-toe shoes, and all supplies needed to perform the cleanup will be provided.